This weekend is Oktoberfest in Columbus. 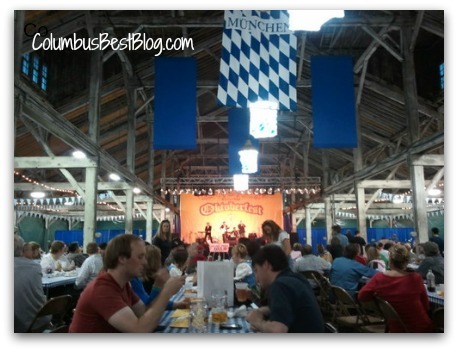 Columbus Oktoberfest is September 27, 28 and 29 2013. German food, German beer, German dancing, German singing… Schmidt’s Cream Puffs and much more. Columbus Oktoberfest starts at 5:00 today at the Ohio Expo Center / Ohio State Fairgrounds. Oktoberfest admission is free. Parking at the Ohio Expo Center / Ohio State Fairgrounds is $8. I am not sure I will get to go to Oktoberfest this year. The photo is from the 2010 Oktoberfest. While I don’t like the word “blog” the term “digitale Netztagebücher” is really, really scary. I can not even imagine how that would be pronounced. I liked the word “blog” OK back in 2005, 2006… I believe I stopped liking the word blog sometime in 2007. I hate the sound of the word blog. The word “blog” sounds so guttural. …as well as “Beste” The differences between “beste”,” bebst” and “am liebsten” are beyond me. I am kind of fond of the umlaut though… so “am günstigsten” is sort of appealing to me. The point of the New York Times Op – Ed piece was that words like “blog” became part of their dictionary (Duden) recently. It is controversial in Germany that cosmopolitan, English words like blog are invading their dictionary.